Customer service is the initial and on-going human contact with your customer. 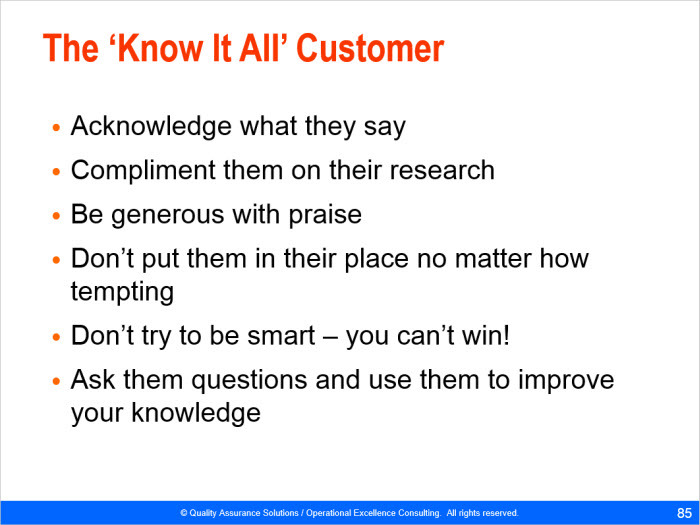 Your customer judges your business based on this customer service. Good service drives more customers. Good service impresses your customers. 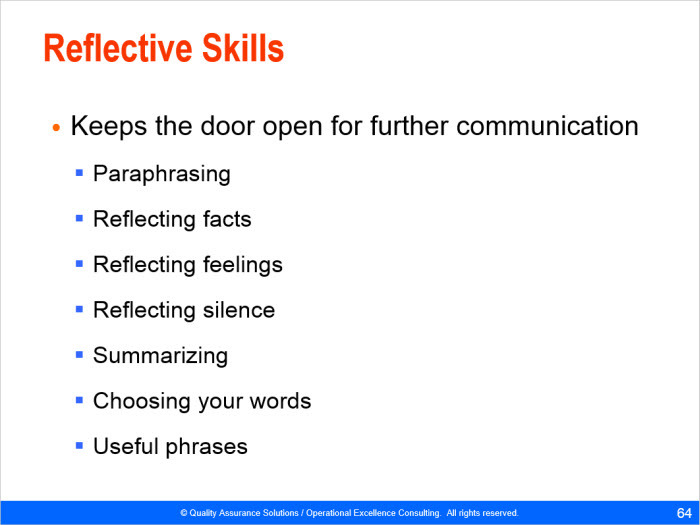 Without these skills, It's easy to not provide good service. 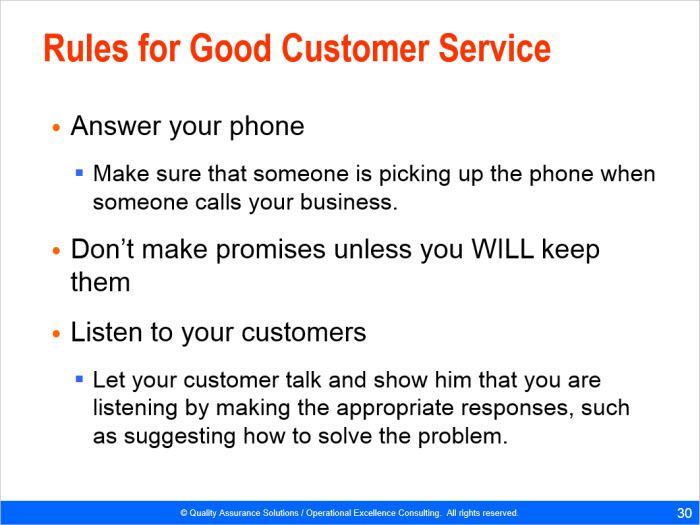 First does the customer service representative know the difference between good and bad service? Do they know how to handle problems that don't embarrass the company? Do they know how to say "no" in a non threatening manner? Do they present themselves that instills confidence in the company? Do they know how to converse with customers that doesn't offend? Learn and teach the keys to successful service? 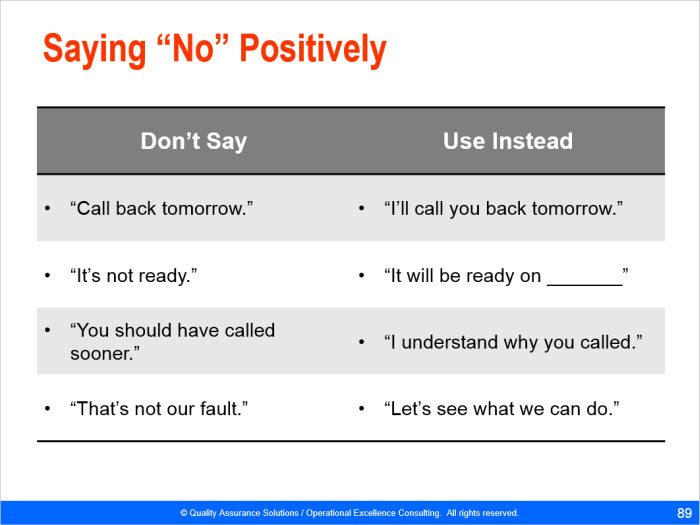 Teach language that build customer relationships? Teach telephone, written, and face to face skill for customer interaction? 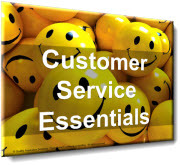 This professional customer service training material saves you a significant amount of time. If you created this PowerPoint yourself you could easily spend 20 to 40 hours just making the slides. See below for pictures of some of the slides. 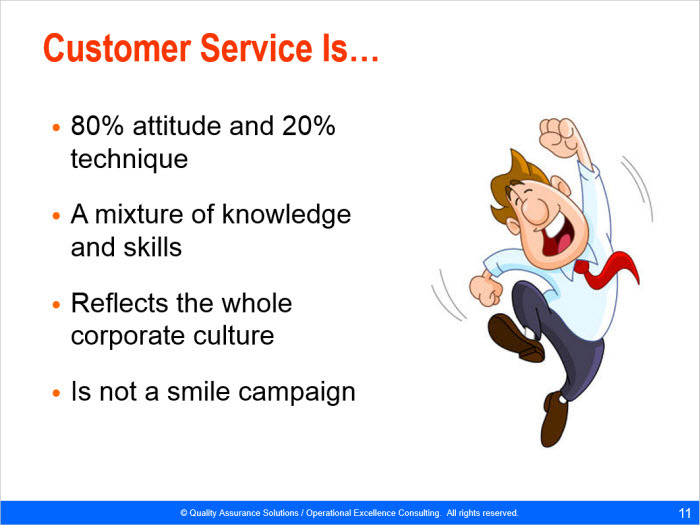 Use this PowerPoint customer service training materials to teach your employees the skills when interacting with customers and them methods to provide good customer service. Customer service is about how a company deals with its consumers before, during and after a purchase of a product or use of a service. It is a series of activities designed to enhance the level of customer satisfaction - that is, the feeling that a product or service has met the customer expectation. 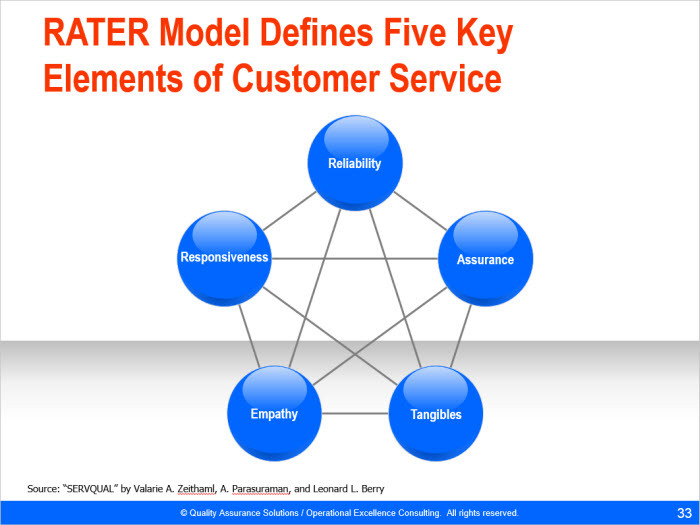 A combination of knowledge, attitude, techniques and skills are essential for the customer service professional to provide a holistic and quality customer experience. 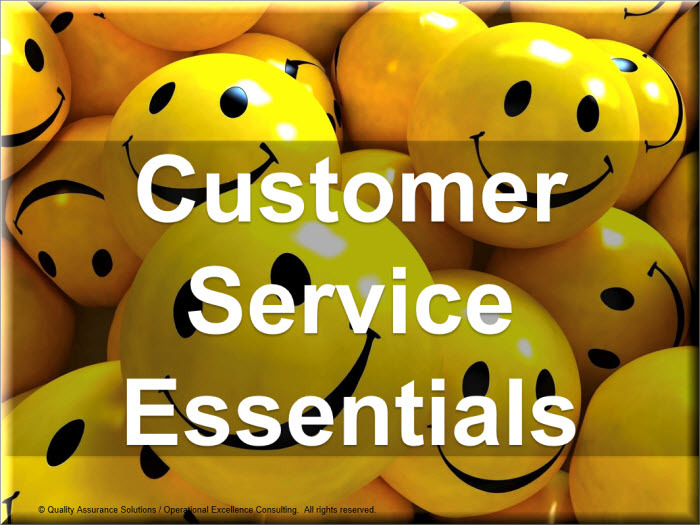 In this customer service training material PowerPoint, you can educate and train employees to deliver professional customer service to external paying customers as well as internal customers. If your new to customer service, you can learn skills to help you interact with customer and impress potential bosses during a customer service interview. 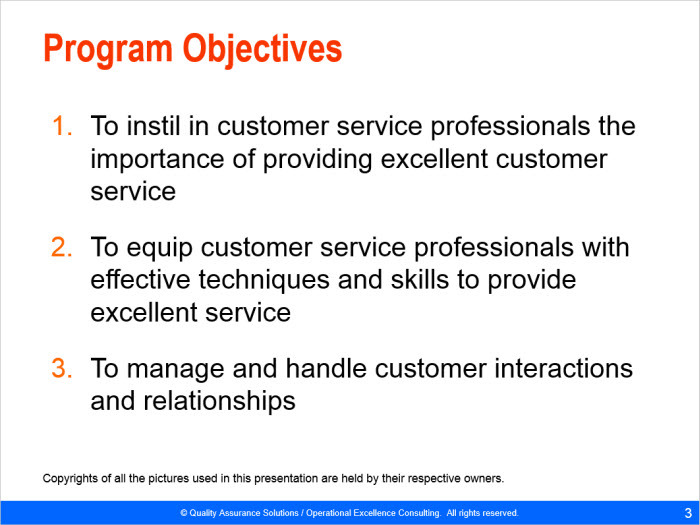 Deliver this presentation to an audience as a 1-2 hour briefing to train employees on the basic techniques and skills to deliver quality customer service. 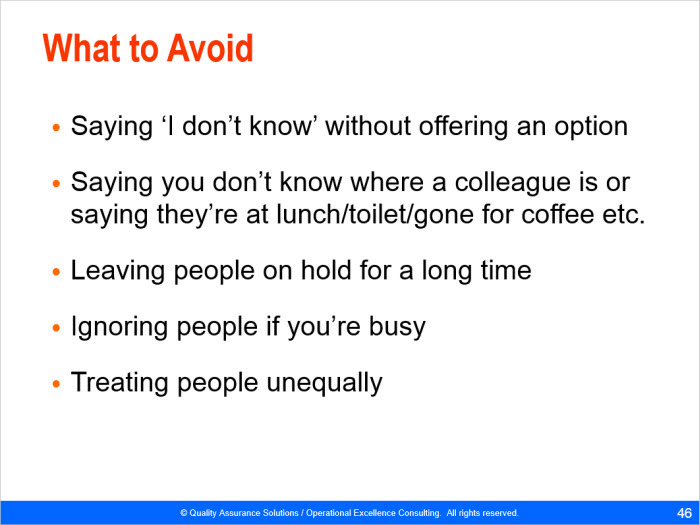 Use the slides in a workshop for managers and staff of the organization who need to develop techniques and skills to satisfy different types of customers. 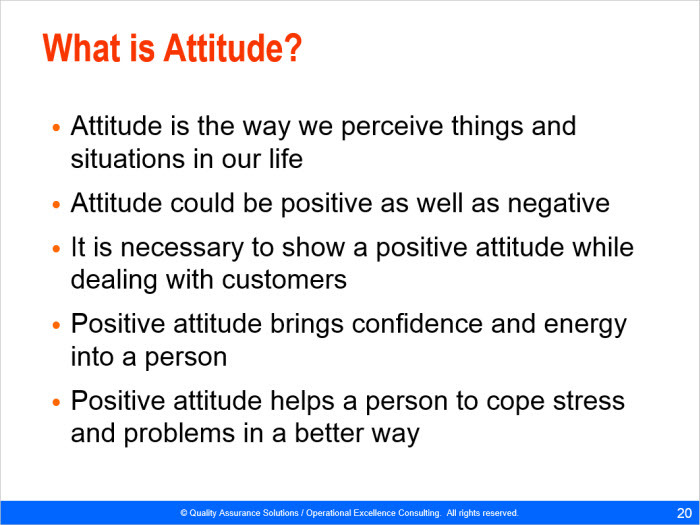 All training slides/presentations are in Microsoft PowerPoint format and are easily customizable. You may modify, add, delete, change the logo, etc. or personalize it any way you like it. The only restriction is that you cannot distribute, sell, rent or license the material as though it is your own intellectual property.